"We continue to see preservation groups show interest in acquiring and protecting high-quality land like this from development," says NAI Hanson's John J. Schilp. 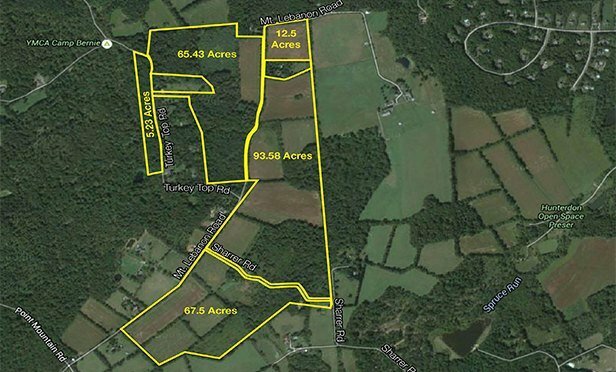 LEBANON TOWNSHIP, NJ—NAI James E. Hanson arranged the sale of 244 acres of land along Mt. Lebanon Road in Lebanon Township, NJ that preserves the tract from future development and creates a greenway of nearly 2,600 acres in northern Hunterdon County.